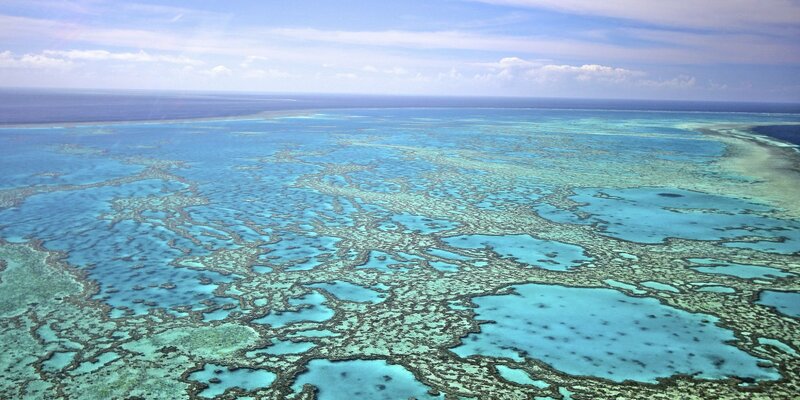 Coral Towers offers spacious and affordable Accommodation Cairns ideally located overlooking the magnificent Green Island. 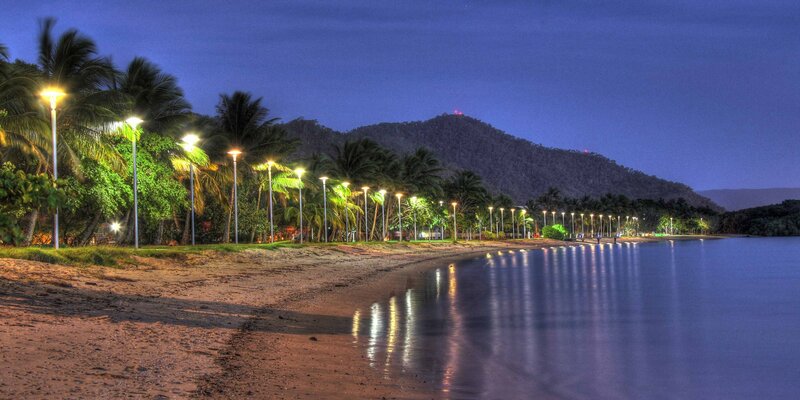 Set among the palms on Cairns Esplanade, only 5 minutes short drive to the popular public lagoon pool and a fantastic selection of cafes, restaurants and bistros overlooking the water. 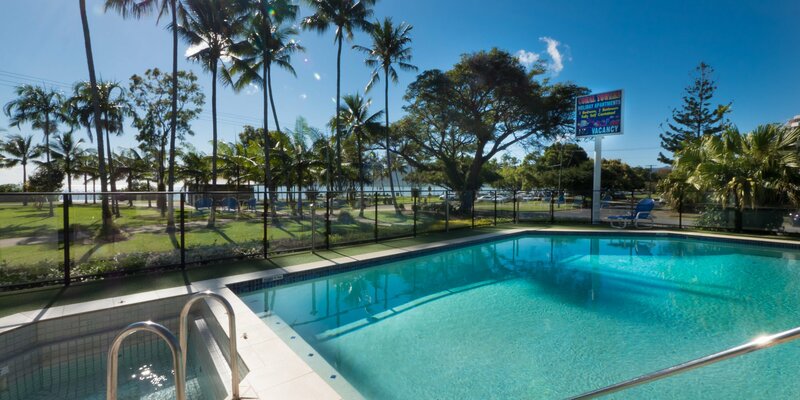 With a perfect location close to the Great Barrier Reef, the resort is a great choice for families, corporate travellers, and anyone else who wants easy access to the Great Barrier Reef and all the beauty and adventure that tropical Far North Queensland has to offer. 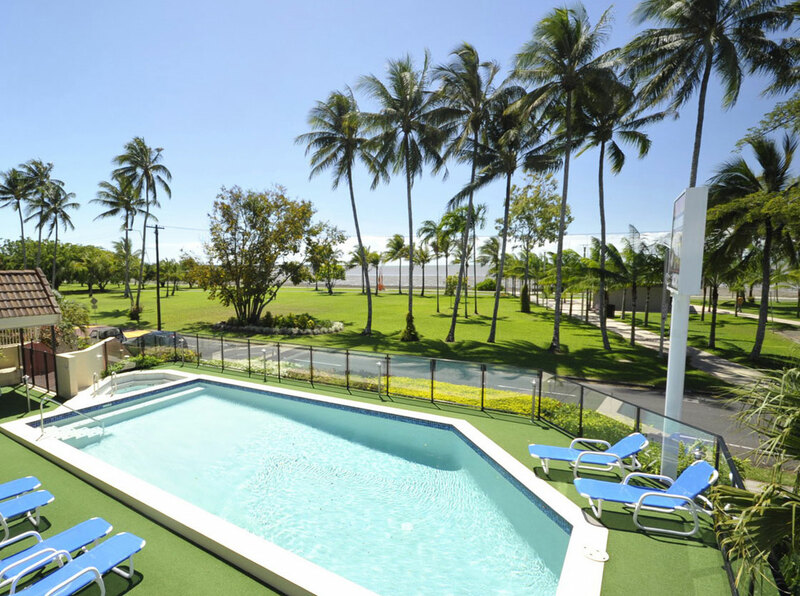 Unwind in our spacious, self contained Cairns holiday apartments and discover all that this world famous holiday destination is famous for. Designed with your comfort and relaxation in mind, the resort features a superb range of guest facilities, including a glittering, lagoon style swimming pool overlooking Trinity Bay, a fully staffed tour desk, heated spa, WiFi access, lift access and secure parking for guests. All our Cairns apartment accommodation is fully air conditioned, self contained, and come with laundry facilities, kitchens, Cable TV, ensuite bathrooms and private balconies. For your convenience, we offer a laundry and dry cleaning service for guests and all apartments at our Accommodation Cairns are serviced weekly. 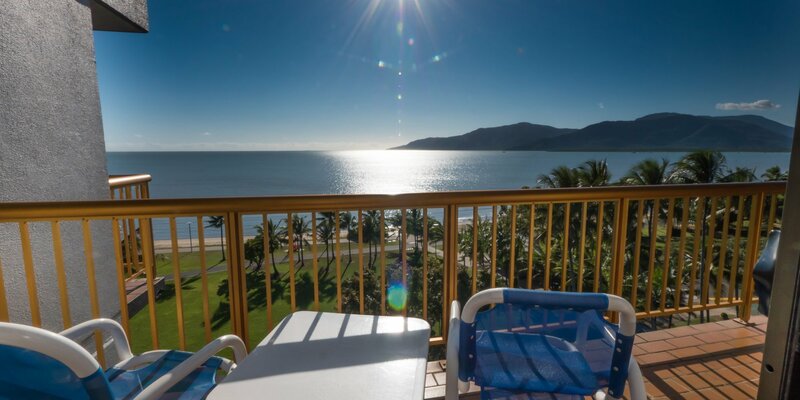 Ideally located on a peaceful spot on Cairns Esplanade, our Cairns Apartment Accommodation puts all the best Great Barrier Reef tours, diving exhibitions, snorkelling and sailing trips right at your fingertips. Just drop by the tour desk for help and assistance – we’ll book your tours and show tickets directly so you don’t have to. 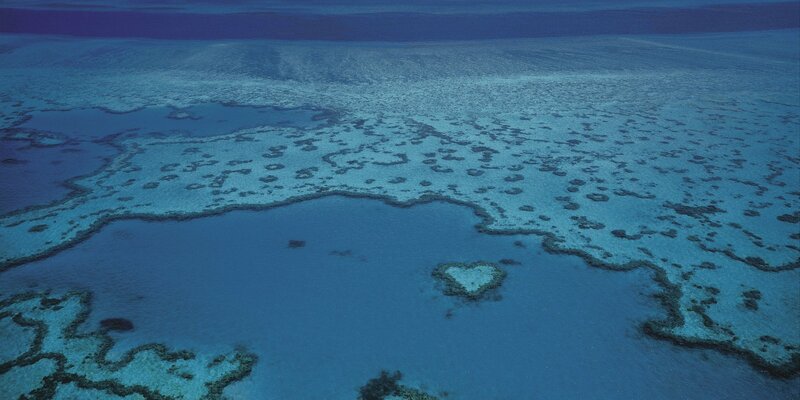 Discover Cairns for yourself – book your stay at Coral Towers Accommodation Cairns now and start planning your break today!